The message of Kim Jong-un will be delivered to the pontiff by President of the South, Moon Jae-in, who will visit the Vatican on October 17th and 18th. On October 17, a Mass for peace on the Korean peninsula, presided by Card. Parolin. Seoul (AsiaNews) - North Korean leader Kim Jong-un is inviting Pope Francis to visit Pyongyang. This was stated today by the office of South Korean President Moon Jae-in, who will deliver the official invitation on October 18, during a scheduled papal audience at the Vatican. During a press conference to announce Moon's trip to Europe and the Vatican, spokeswoman Kim Eui-kyeom said: "President Kim [Jong-un] said that he would 'warmly welcome the Pope if he wanted to visit Pyongyang' ". The spokesman also said that Moon will present Kim’s message to the Pope Francis when he meets the pontiff on October 18th. Any possible visit by Francis to Pyongyang would be an absolute novelty not only because no Pope has ever been to the North, but also because of the region’s recent past of harsh persecution of Christians and of all religions. Just today, the Holy See Press Office announced that Pope Francis will receive President Moon on October 18th at 12. The day before, Moon will be present at a Mass in St. Peter's Basilica which will be presided over by the Secretary of State Card. Pietro Parolin. The Mass will be celebrated "for peace on the Korean peninsula". Since his election as president, in May 2017, Moon Jae-in has made détente on the peninsula his primary focus. 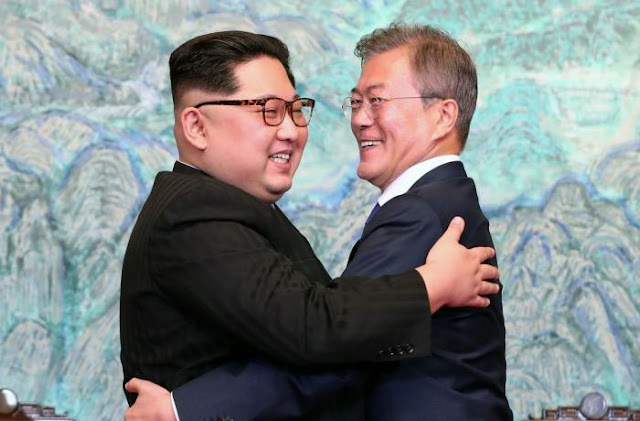 Moon and Kim have met three times, last April, in August, and in Pyongyang in September. The two leaders signed the Panjunmon Declaration, which includes a series of commitments for the peace and denuclearization of the peninsula. The dialogue between the two Koreas and the collaborative initiatives have advanced in various sectors, from the infrastructures and the humanitarian aid of the South for the North, up to the sports field.